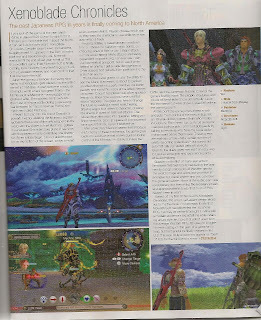 First ParagraphIf you look at the game of the year candidates in Japan in 2010 and Europe in 2011, there is a common title that missed the American lists for both years: Xenoblade Chronicles. Despite rave reviews and endless begging from U.S. gamers in the form of online petition and Facebook groups, Nintendo waited until the end of the year to tell us that this excellent game from Monolith Soft is finally coming to our shores. I’ve played a good chunk of the European release, and I can confirm that it will be worth the wait. 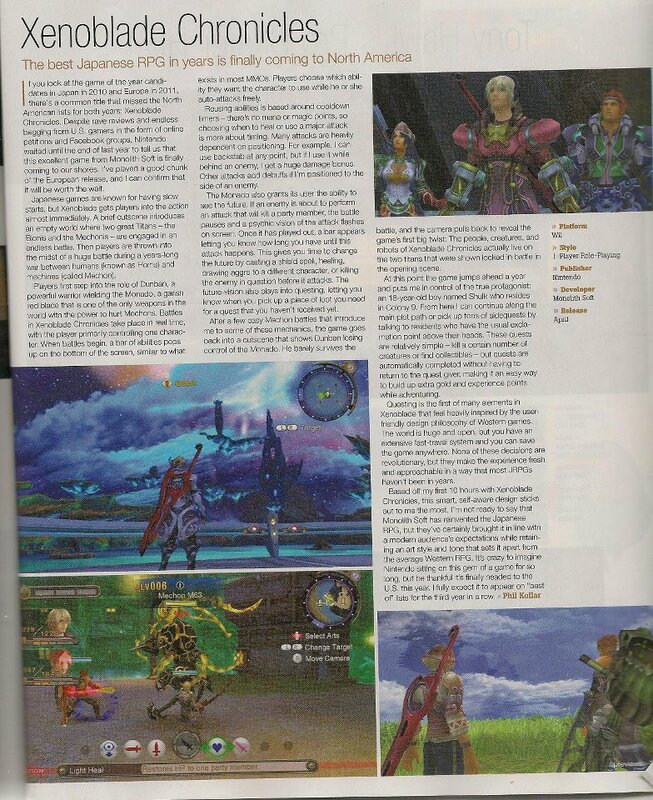 Based off my first 10 hours with Xenoblade Chronicles, this smart, self-aware design sticks out to me the most. I’m not ready to say that Monolith Soft has reinvented the Japanese RPG, but they’ve certainly brought it in line with a modern audience’s expectations while retaining an art style and tone that sets it apart from the average Western RPG. It’s crazy to imagine Nintendo sitting on this gem if a game for so long but be thankful it’s finally (coming). Thanks Lewis for the heads up and scan!